Divepage of Christiaan Knopper: UW-photo and video! 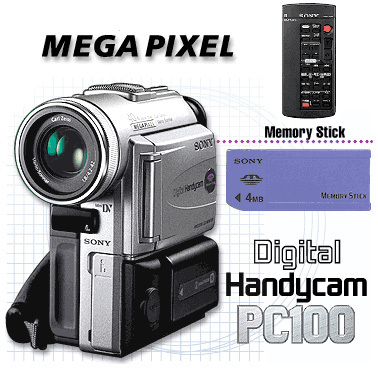 I use a Sony PC100 which does make also still-video pictures a a Sony memory stick. With 1,2 M pixels the quality of the pictures is reasonal good. The opportunity to be able to make both pictures and video does bring difficult situation where I have to decide. Still or video? Using a 32 Mb memory stcik I can store quite some picture on Hi-resolution, which is to me the only usable setting. As you can view and delete pictures with the camera this hold all pictures of one holiday which stand my selection criteria. My computer (a Sony Vaio PCV-201 desktop) does have a buildin memory stickreader, so tranfering picture is no more difficult than copying them to another drive. "donker water, vol leven en kleur: Oosterschelde"
This video a extract of my first large production. As it is despite compression a 28 Mbyte file it may (depending on your bandwith) take a while to download. As mentioned in my personal profile I started making OW-video's and photo's early 2001. I had earlier experiences with photography both as hobby as well as (semi) professional. The ‘technical’ backgrounds where therefore not completely new to me. I also had developed a 'windowed' view, which helps a lot finding good compositions. This however turned out to be a handicap in the beginning as it resulted in ‘static’ shot's. Later I tried to realize a little more movement in my shots. It was quite a surprise that there is not much information about UW video available. Being the first diver with a video camera in my direct surrounding I had to experiment a lot with lights, software etc. Today I have reached a level where I'm reasonable happy with the results. Have a look for yourself in the video section. Maybe you have noticed that there is a gap of 16 years between my first dive and starting making UW-videos. There are several reasons: however there are many beautiful underwater photos available, they seldom really catch the atmosphere you encounter during your dives. The sparkling light patterns on the reef, the waves moving the uw-live etc. Admiring the many uw-documentaries (like Cousteau’s) I wanted moving pictures. For me, a video does give you more vivid memories, including sound and movement. However both video equipment as well as the possibilities to edit your material to an acceptable result where at that time quite expensive and not really ‘transportable’. But lucky enough the world has changed. Despite the fact you still need a filled wallet to start….. video equipment, uw-houses, computers and video-editing software are available in many different tastes and budgets. But as said earlier, please be aware that you have to prepare you’re investment commission (in my case that was my wife)… It starts with a camera, a housing, uw-lights followed by (above water equipment) as a new PC and editing software package………. 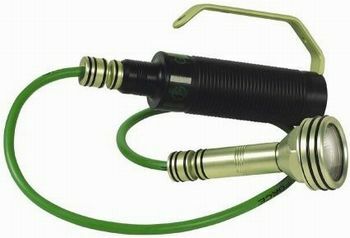 And many other gadgets you will find useful to create the wanted results. Both uw-photography and video do ask really good diving skills. You have be able to control your byouncy perfectly. Fishes do have the habit to hide themselves between the corals and you will find yourself standing upside down to take that one special specimen you have dreamed about. And off course you and I are the type of divers which do not want to make a nice shot at all costs. So we are careful not touching the reef. Easy of use is one of the advantages of all digital camera’s regardless they are video or photo camera’s. Almost all modern cameras do have auto focus and auto exposure. So no calculations about shutter times, f-stops, distance etc are mandatory. Of course there is still the subject of framing, light location and that intangible, artistic talent, but those remain a constant whether you are shooting video or stills. 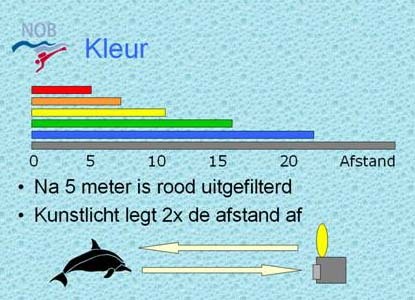 Video Lights: In the ‘dark’ water surrounding the Netherlands lights are mandatory! The most shots you will take are close-up. Close-up shots both in dark or tropical waters will get back their color if you use good lights. In tropical blue seas a red filter will bring back some of the red color you have lost in the depth, but not all of it. Be aware that, just like a strobe, no video light will bring back the red colors on distance beyond 5 meters. The white light from your lamps has to travel twice the distance to your object as the illustrations does show. So even in clear blue water you will need to use a red filter for distance shots. You will find yourselve switching lights and filters on and of. A warning is on its place! Despite the fact video editing on a PC looks (and is relative) easy, please be aware that it will test your patience. One minute clean final cut video will take at least about 1,5 hours editing! - There will almost no quality loss, when copying your video from and to your DV tape. - You can input your raw video from the camera, make cuts, arrange fragments, add transitions, add titles and sound and store the final results.